Emily Conrad is our LLC legal assistant. 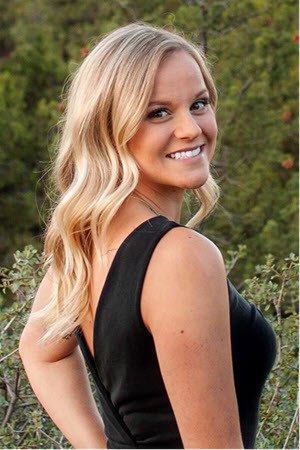 Emily graduated from Northern Arizona University in December of 2018, through the college of Social and Behavioral Sciences, with a focus in Criminal Justice and Psychology. She spent 6 months of her undergraduate degree studying abroad and living in Athens, Greece and 6 months studying and living in Limerick, Ireland. In addition to her passion for traveling, Emily likes spending her time outdoors – hiking, fishing and boating. Her interests also include playing volleyball. Emily played volleyball in high school and later became a middle school volleyball coach in Flagstaff, Arizona, while pursuing her undergraduate degree. Emily is currently studying to get into law school and hopes to graduate from law school and become a criminal defense attorney. She joined the KEYTLaw team in February of 2019.